Divorce and Child Custody Mistakes Fathers Shouldn't Make You probably haven’t been through a divorce or child custody case before, which is why you should learn about mistakes made by other fathers. When you’ve never been through a divorce before, it makes sense that you aren’t familiar with the common pitfalls that men make during the process. However, it is important to learn from others’ mistakes – mistakes that can cost you money, your property, or a fair agreement. 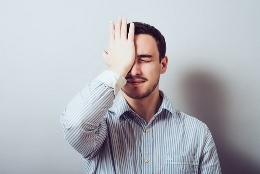 Below are four common mistakes that men make during the Washington State divorce process. Taking a passive approach. Women initiate divorce more often than men, and one common response men have to divorce is to ignore it. While your spouse hires a divorce attorney, gets her finances in order, and plans for her new life, don’t be caught unprepared. Divorce comes with a number of unpleasant tasks, but facing them early will only help you successfully navigate the process. Starting a new relationship too early. Some people don’t like the idea of being alone and without support. Some people are eager to restart single life. Some people have already met someone new. Whatever the case, you must understand that bringing another woman into the process can cause a more contentious divorce, upset your children, and distract you from the task at hand. It is often better to wait until the divorce is finalized. Not keeping a cool temper. Yes, anger is expected and natural when your marriage comes to an end. However, how you choose to release that anger can have a huge effect on your divorce. Realize that any anger directed at your spouse can be extremely detrimental to your divorce and that your anger is not helping to solve any problems. Of course, it goes without saying that emotional, verbal, and physical abuse is absolutely not okay – and often illegal. Refusing help. Too often a man’s response to divorce is wanting to be alone, wanting to handle the situation himself, and refusing assistance from others. While being independent is a great trait, you should realize that your friends and family are there to help and that you will likely need the help of an experienced divorce lawyer to help you find fair solutions. Do you need legal assistance with your Washington State divorce? 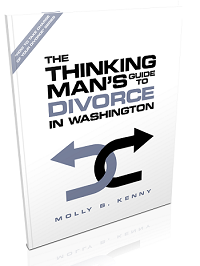 The Seattle divorce attorneys at the Law Offices of Molly B. Kenny can help you avoid the most common divorce mistakes. Call today 425-460-0550.